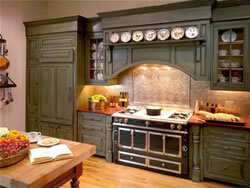 Vermont Woodland Cabinets are crafters of beautiful kitchens which are ultimately designed by listening to your ideas. Our kitchen designers and cabinetmakers will guide you through choices of available styles, woods and finishes. Our kitchens are one of a kind, and our clients experience great joy and satisfaction in creating their own workspace. We recommend Vermont products as well as green systems for the purpose of saving energy and protecting our environment.